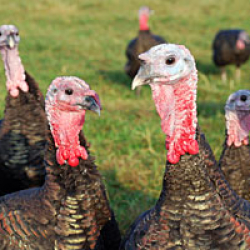 Traditional Turkeys: Over the past 5 months, the birds have been roaming around their spacious, modern barn in the heart of the Wiltshire countryside, slowly maturing and most importantly, happy. 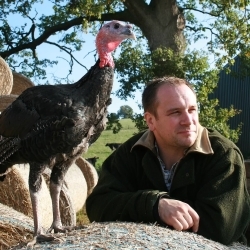 All birds are hand plucked to ensure great presentation and are hung for 10 days to develop a fuller flavour. Together with your tasty turkey, you will receive a handy list of delicious recipes to make the most of your bird.